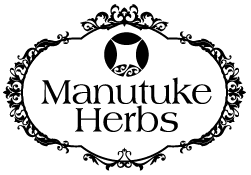 Manutuke Herbs was established by qualified homeopath Amanda Macrae in Gisborne in 2009. Amanda had previously worked Naturo Pharm and Selene Homeopathics and was contracted to design products for other NZ companies within the natural health industry. With a passion for making remedies, Amanda also loves to grow her own herbs and following the process from growing the product, manufacturing it into a tincture or dry herb, to then prescribing for clients. Manutuke Herbs has within 7 years moved to bigger premises four times. Amanda puts the success of the shop down to her clients spreading the word. From Gisborne, London, Australia and even Dubai, Manutuke Herbs products have travelled around the world with relatives delivering them as presents, while the Manutuke Herbs online store supplies the rest of New Zealand. With a new branch opening in Tauranga in 2015 Manutuke Herbs is in growing demand and offers safe, affordable, easy-to-use remedies made by qualified practitioners with a passion for helping others. We stand behind our products by offering a 100% refund if not satisfied. Manutuke Herbs specialise in non-complicated treatments that can be safely selected off the shelf for people and animals. If you require a more personalised remedy we offer quick consultations of 5 to 10min with no charge for this! THAT’S RIGHT – FREE CONSULTATIONS! We then get your remedy either off the shelf from our huge self-selection area or we make you a prescription remedy while you wait. After trying the remedy, if there is no improvement in your symptoms you come back and tell us the remedy did not work. We then tweak your remedy FOR FREE. If it still doesn’t work you can either get it tweaked again or ask for a refund. Manutuke Herbs makes 80% of most our own products. These products are made by hand, using traditional methods of preparation and manufacture. Amanda also collects many of the herbs or grows a small number to ensure traceability of product from soil – to bottle! All other herbs are sourced from certified organic suppliers. Manutuke Herbs manufacturers its tinctures in GE free, grain based alcohol. Most manufacturers use whey-based alcohol (animal by product) to extract their herbal tinctures. Our practitioners are qualified in classical homeopathy and/or herbalism and apply modern practices to both treatments. We take into account that many of our clients do not have hours to spare going over their life story. Nor do they have hundreds of dollars to spend on consultations. homoeopath needing a remedy and potency you don’t have on stock? a vet or doctor with a client asking if there is a natural alternative we can help!We work with you and would never prescribe over your prescription. We never ask our customers to stop prescribed medication. We simply offer a safe, natural option with no pharmacological interactions. We are trained and qualified to be able to do this safely, respecting your practice needs. Herbal medicine is the oldest and still the most widely used system of medicine in the world today. It is medicine made exclusively from plants. It is used in all societies and is common to all cultures. Manutuke Herbs uses a large number of New Zealand native plant tinctures in its formulas. Herbal medicine is increasingly being validated by scientific investigation which seeks to understand the active chemistry of the plant. Many modern pharmaceuticals have been modeled on, or derived from chemicals found in plants.Manutuke Herbs’ liquid tinctures are manufactured as homeopathic tinctures. Our tinctures are 90% certified organic bases using grain based alcohol, vegan friendly.The amount of herbal tincture and dose administered in our combination remedies is not the usual therapeutic dose that you may be used to. The supporting homeopathic remedies empower the tincture therefore you use less tincture less frequently to get the effect you require. If the correct remedy is prescribed we expect changes in the symptoms within days, not weeks as some formulas can take while they reach therapeutic levels. This makes our use of rare and high value herbs more sustainable and affordable for our clients.